Paul: Oh, my head! Where am I? Why am I tied to a chair? Thrower: You’re in my house, and safe for now. You’re tied to a chair because I’ve kidnapped you. Paul: That seems quite straightforward. Thrower: Yes. We must play another game, you see. On 17th September 1944, a German officer in Holland looked into the sky and saw white flakes falling. “But it never snows in September” he thought. Do you know what he’d seen? 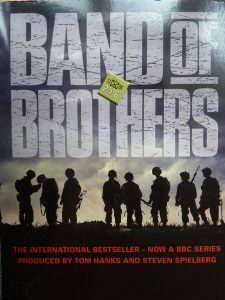 Thrower: It was allied paratroopers dropping at the start of Operation Market Garden, arguably the most audacious and controversial plan of the Second World War. 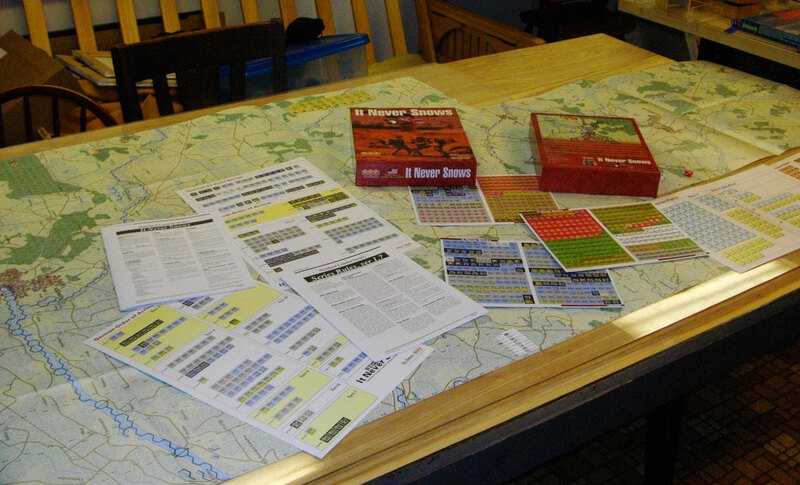 That, of course, makes it a prime candidate for the wargame treatment. The latest title to cover the operation is It Never Snows from MMP and that is what’s laid out before you. Paul: That’s a GAME? I thought it was a tablecloth! It’s colossal! Thrower: I’m not going to untie you just because of a compliment. 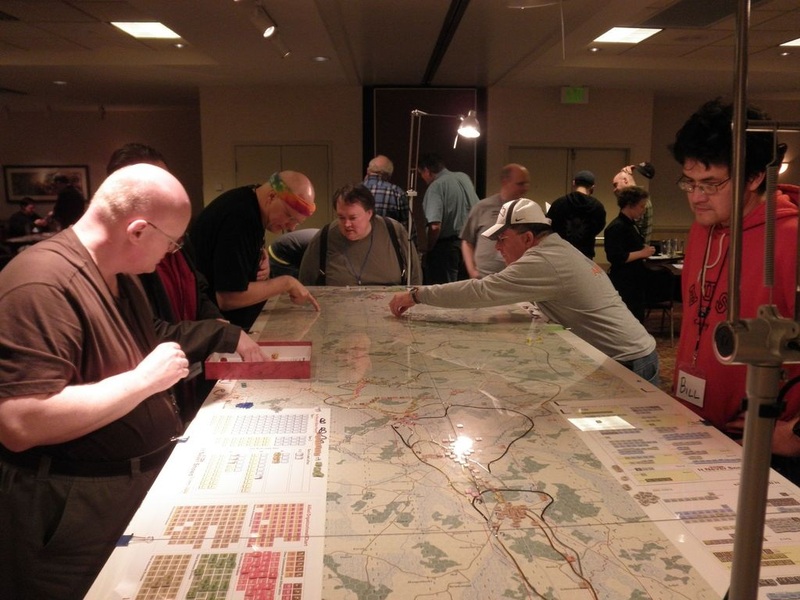 Yes, the game is rather large, with five maps and over eight hundred counters. 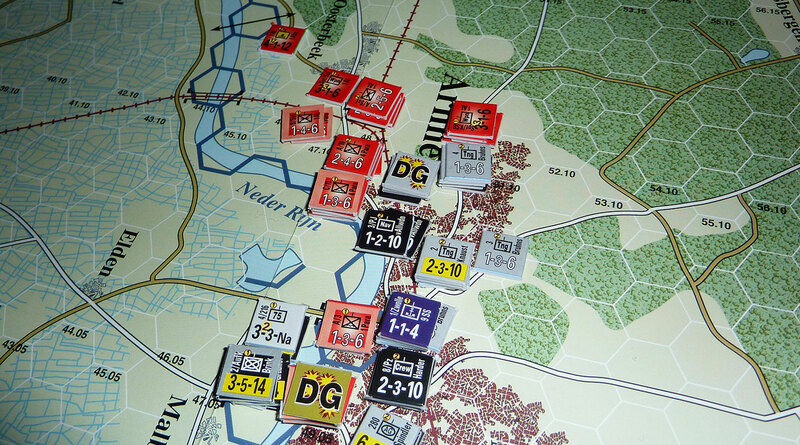 Thrower: Market Garden games are often huge affairs because the overall campaign is fairly linear, so instead people go into lavish detail about the urban fighting and the panicked rushing around of reinforcements. 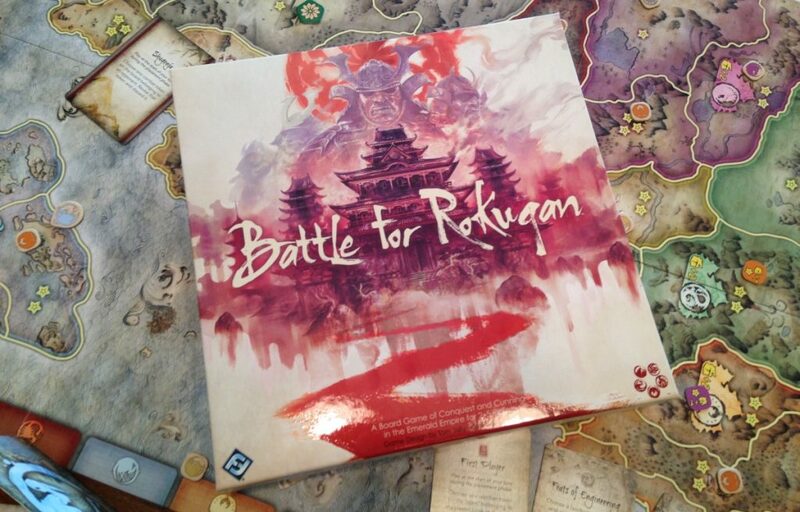 Usually the games have a complexity to match, and take as long to play as the actual battles did. But this is different. Paul: It doesn’t look different. It looks like an atlas sneezed. I can’t see the table edges for all the maps! I can’t play this! Thrower: Tables. It needs more than one. Indeed, pretty much everything about this game is enormous, all those maps and counter sheets and player aids somehow vomiting forth from an ordinary sized box. With all that stuff, a sizeable wallet is required to cover the £70 price tag. And the play time is similarly gargantuan, at a day of your valuable time. 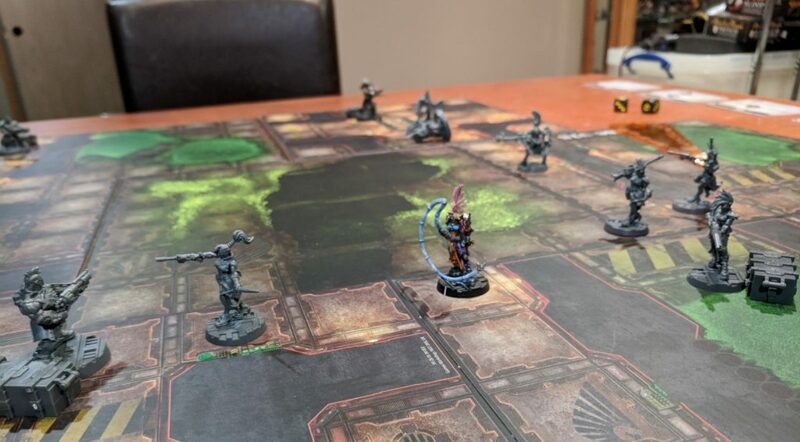 Thrower: Thankfully it includes a number of smaller scenarios, focussing down on key moments in the battle, which can be learned and played in an evening. Unfortunately the whole campaign is rather longer: I didn’t mean “all day”, but one whole day. Twenty-four hours. Thrower: Stop struggling, it’ll just make the ropes bite deeper. The truth is, you shouldn’t buy It Never Snows for its size. You should buy it because it’s a solid and interesting game. A planner’s game. A game that really makes you feel like a military commander, minus the guilt of slaughtering real people. It rewards careful consideration of manoeuvre, guarding of key bridges and capturing road junctions before your opponent realises he’s going to need them. Thrower: Would you like to know the really interesting thing about It Never Snows? General Robert Barrows, one-time Commandant of the USMC said that “Amateurs talk about tactics, but professionals study logistics”. And there’s no better game to teach you the truth of that statement than It Never Snows. Thrower: Yes! The appeal isn’t that It Never Snows has a preposterous five maps. 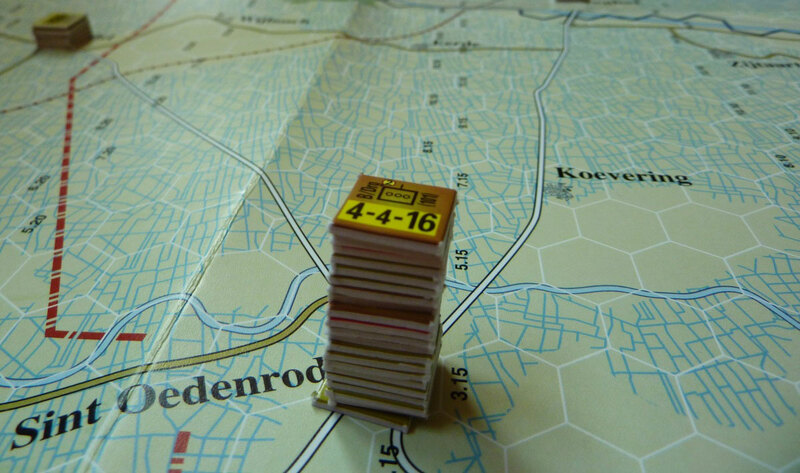 It’s that it’s as rich, long-lasting, and as deep as five maps folded and stacked on top of one another. 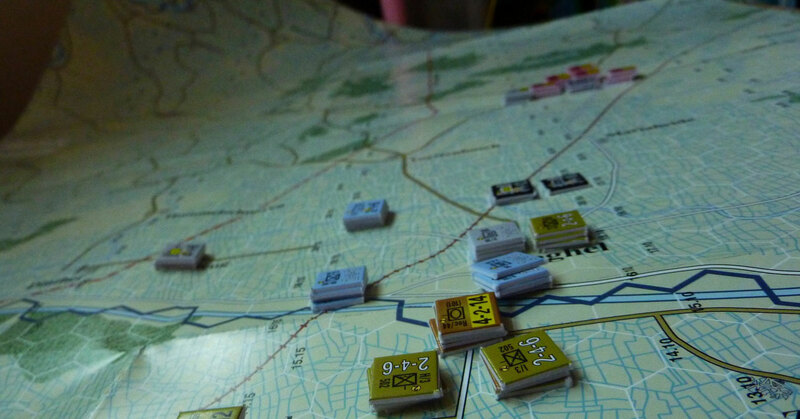 This might not boast the sort of clever mechanical manipulation, or psychological bluffing, or wild rollercoaster swings of other games with their oh-so-fancy incorporation of modern design ideas, but it’s a solid, honest attempt at making the logistical angle of war something that anyone can try their hand at. Paul: Matt, calm down, you’re frothing. Hey, you know what? I think I could enjoy this! But what about people who don’t see the appeal of perfectly co-ordinating an entire army? Thrower: Well, the focus on critical map features gives the game plenty of thrilling moments. The allies have three entire airborne divisions, who must protect their supply points, while ensconcing forward elements into defensible positions in cities and over bridges. They’ve also got a whole armoured corps racing against time to relieve them, while the airborne desperately try to hold on. And the Germans are closing in three sides like a gargantuan fascist nutcracker. It is generally a slow and steady game, but punctuated by sudden cinematic moments. An isolated company holds on against a storm of fire, or a lucky attack punches across a river and sits on a vital supply route. 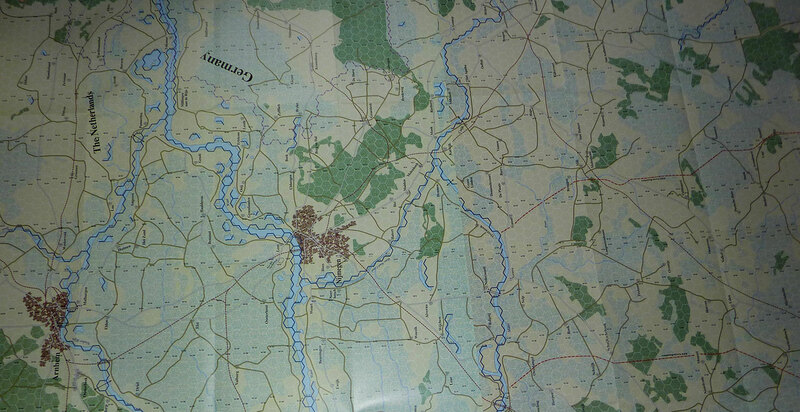 All at once the game ceases to be dry and the drab map is filled with tension and colour. Red, mostly. Paul: You mean those red counters? Thrower: No, I… which? Let me untie your hand. Ah! Those counters are the British 1st Airborne division. There are some very famous units on this map. Easy Company of the 506th Parachute Infantry Regiment, of Band of Brothers fame, have their own counter. And you can tell this is an American game because they’re picked out 30th corps, the cream of British armour, in salmon pink. 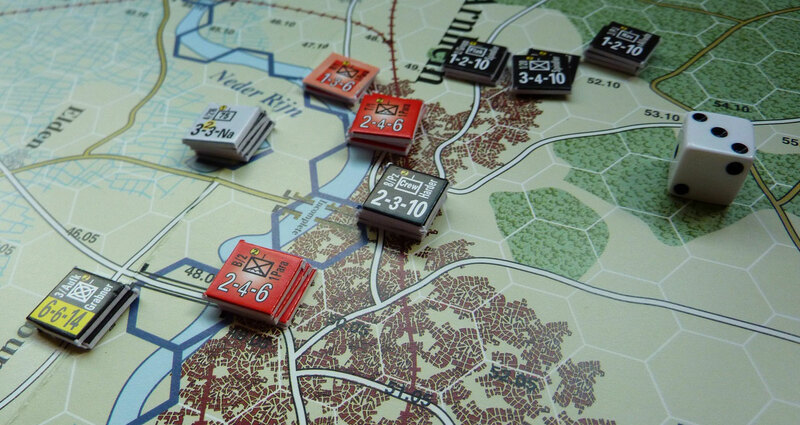 Now, while the game does a great job of forcing you to plan the military logistics of your operation, it unfortunately introduces some logistical problems of its own. Aside from the obvious problem of needing to find a table several acres wide, many hours of spare time and seventy pounds of loose change under the sofa, the game allows you to stack your counters four high. This creates a fog of war effect because your opponent can only see the top counter. 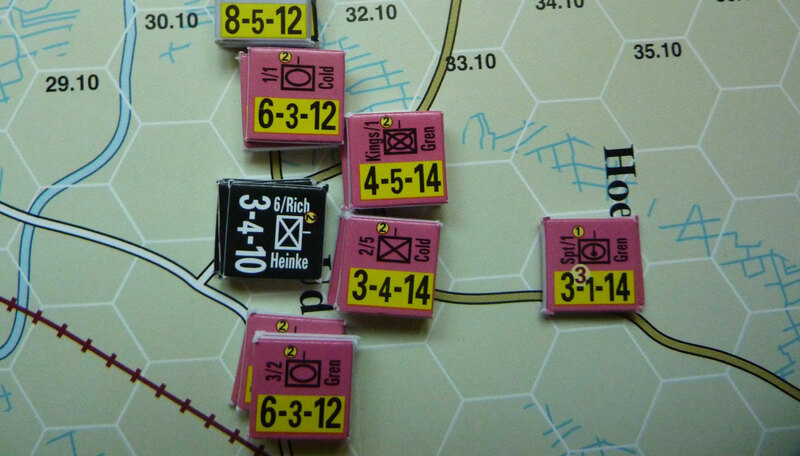 But combined with the propensity for huge numbers of troops to throng into defending choke points on the map, it causes issues. Thrower: Oh do relax. Tweezers are essential! Otherwise trying to unstack one pile will cause all the piles nearby to topple over. And when you have to add up all the attack and defence factors during an assault, dealing with such a swarm of counters can be quite confusing, so you’ll need a calculator too. Paul: I love accessories! Do you know, Matt, I’m quite excited to play this now. Do you think it’d be fun as a team effort? I could invite the rest of the SU&SD team! Thrower: Hmm. 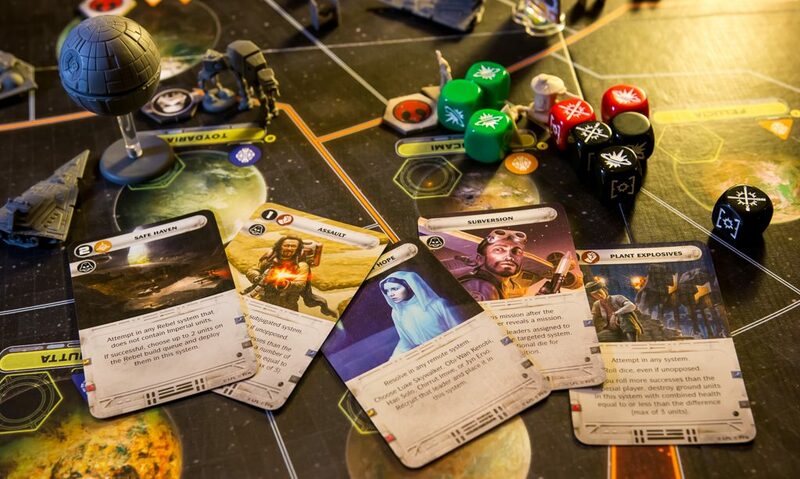 With all those counters and neat delineations between commands, that could be fantastic fun. It’d be more realistic, too! No one officer would really be trying to coordinate the movement of hundreds of units. It might even speed the game up a bit. Call them! Here’s your phone.